Visiting Madison to revive Badger memories, we order up the usual, frequenting the same places and reliving time-honored activities again and again. That bowl of Berry Alvarez ice cream is calling our name at Babcock Hall. A plastic pitcher of beer awaits on the Union Terrace. The burgers, brats, and sticky-floored college bars that drew us away from textbooks, term papers, and 8:50 classes beckon. Following that script is easy. Occasionally, though, it’s fun to venture beyond our comfort zone and build fresh traditions. So, we spent 36 hours traipsing to untested venues, sampling innovative tastes, and plowing ahead with untried activities. Along the way, we met an Iron Chef champion, admired Frank Lloyd Wright’s rare Japanese art prints, soaked in a shimmering view of Madison’s lakes from a brand-new roost, put on our dancing shoes, checked out a Huey helicopter, and browsed 13 types of cheese curds. We scarfed a raft of cuisines, cruised museums, and got a little exercise. 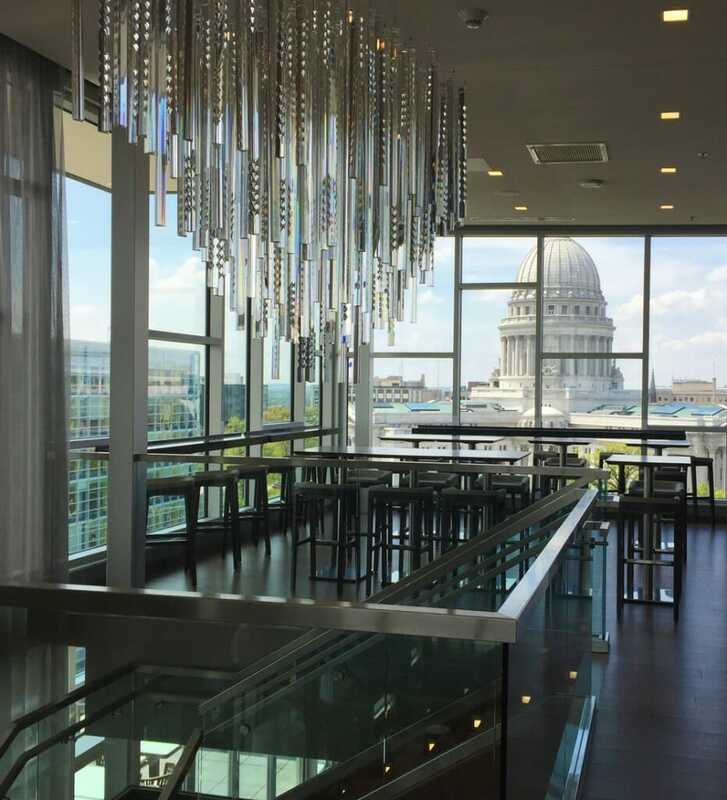 Madison has enjoyed a rebirth as its people and tastes have morphed and diners’ expectations have kicked up. It’s become a foodie town, awash in creative restaurants. Push away from the table, and you’ll find that Madison deserves high marks as a destination. 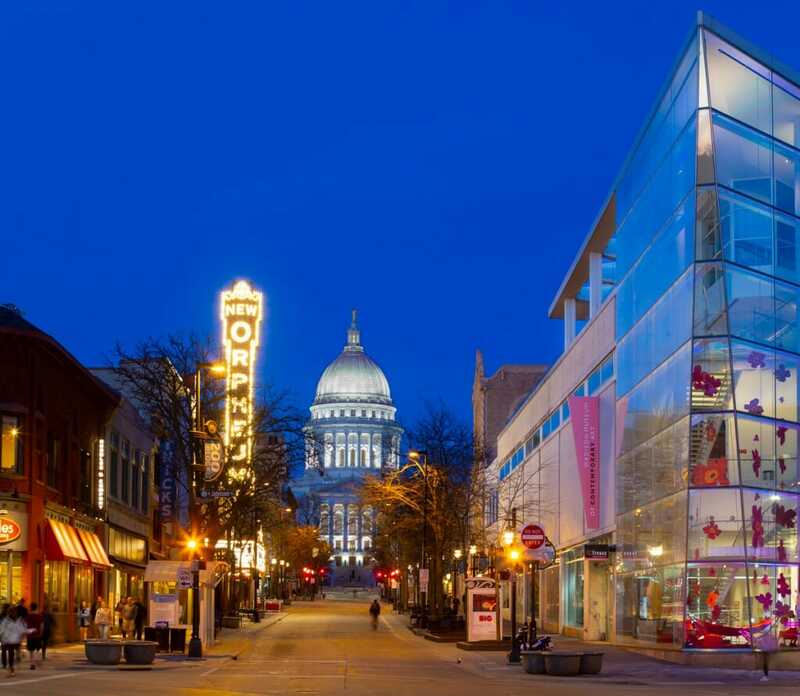 National Geographic Traveler named Madison one of America’s top small cities, ranking it on such things as green spaces, coffee shops, breweries, and music venues. We put those assessments to the test. At noon on a Wednesday, the Good Food cart on East Main Street on the Capitol Square is running with choreographed efficiency. Workers in the cramped cart crank out signature veggie dishes, some with lean meat, and all with a low-carb profile. The line lengthens as offices empty for the lunch hour. The cart is the brainchild of Melanie Nelson ’08, a zoology major and runner who had trouble finding healthy eating options as an undergraduate. She saved money from her bartending job and sank it into the food cart in 2010. She now has two carts — on Capitol Square and Library Mall, open weekdays 11 a.m. to 2 p.m. — plus a brick-and-mortar restaurant, the Good Food Café, on Cottage Grove Road on Madison’s east side. At $8.50, the pad Thai salad melds spiral-cut veggies with red cabbage, onions, peanuts, greens, cilantro, and a wedge of lime — plus a choice of grilled chicken or tofu — all drizzled with a spicy peanut dressing. Around the corner is an often-overlooked gem — the Wednesday Dane County Farmers’ Market. With tables laden with beans, beets, and onions, Yeng Yang sells produce and carries on a family tradition at the corner of Wilson Street and Martin Luther King Jr. Boulevard. The family operation grows vegetables in nearby Brooklyn, Wisconsin, and works both the Wednesday and Saturday markets. The Saturday market rings Capitol Square and commands a sea of visitors, but the Wednesday affair is more laid back. A wild rainbow of produce is heaped on the tables: broccoli, cauliflower, herbs, poblano peppers, melons, spuds. Dairy farmer Tom Murphy’s family sells 13 varieties of cheese curds, plus fresh-baked cookies and bars. Murphy Farms has also been at the market for a quarter-century. “This market saved my family farm,” says Murphy, of Soldiers Grove, Wisconsin. “We’re in our sixth generation on the farm and people saved it by buying our products.” A 15-minute walk lands us at Madison Sourdough on Williamson Street. 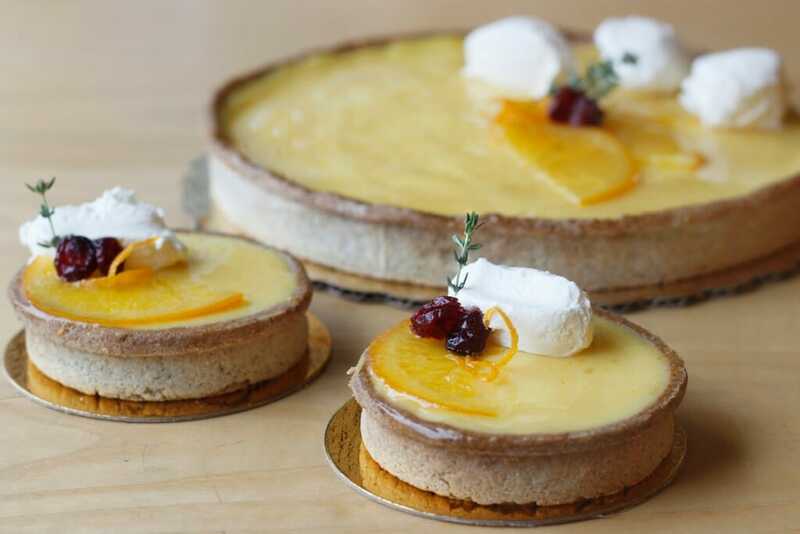 A popular breakfast and lunch spot, it has a bakery producing breads, rich French pastries, croissants, scones, macarons, and cheesecakes. A dense, rich pistachio Breton ($5) and a chocolate-almond croissant ($3.75) make up our midday snack, along with cups of steaming coffee. Executive chef and general manager Molly Maciejewski uses traditional French techniques. The bakery has a friendly energy. “It’s very neighborhood centered, with a family vibe, and we like that,” Maciejewski says. With only wayward crumbs remaining, it’s back to downtown and the Madison Museum of Contemporary Art, which occupies the prow of the Overture Center on State Street. The State Street gallery featured the metal sculptures of Jaume Plensa in a display titled Talking Continents . The suspended steel forms appeared to float in the gallery. Other galleries feature works in video, film, painting, prints, and fabric and are staffed by knowledgeable docents. In May, the museum welcomed Far Out: Art from the 1960s . One can’t-miss feature is the museum’s store, which has a stunning array of goods from designers and studio artists — including jewelry, wood, leather, glass, and metal work as well as children’s gifts, art books, and cards. Soon, dinnertime arrives. Just off State Street, we find out whose cuisine reigns supreme. Tory Miller began his restaurant career working in his grandparents’ Racine, Wisconsin, diner — the Park Inn — and today he owns four Madison fine-dining restaurants: Estrellón, Graze, L’Etoile, and Sujeo. His skills, honed at the French Culinary Institute in New York, have earned him the James Beard Award as the Best Chef: Midwest. 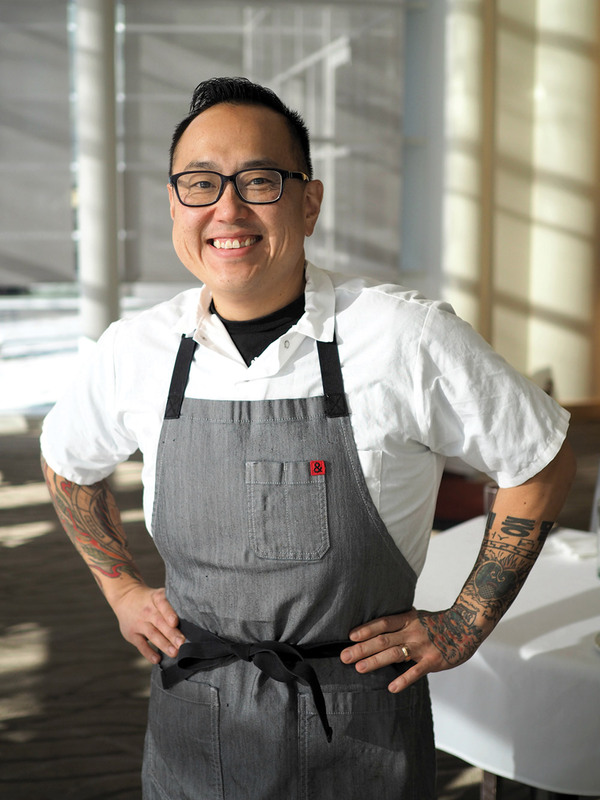 Then, in January, his friends and fans gathered at Estrellón’s bar on West Johnson Street to watch him defeat rarely vanquished celebrity chef Bobby Flay on the Food Network’s Iron Chef Showdown. We tried Estrellón, a Spanish restaurant with elegant, creative cuisine and a warm feel. “We wanted people to feel like you were coming into our house,” Miller says. 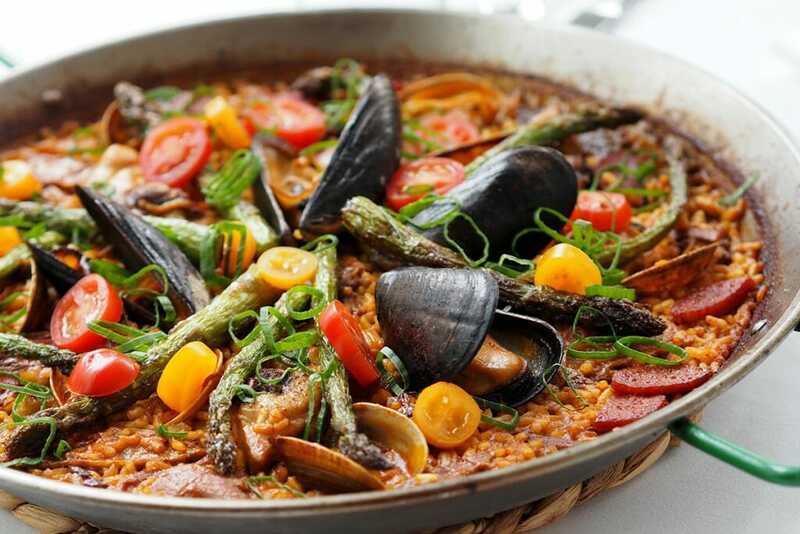 The Spanish Experience Chef’s Dinner for Two ($90) includes a selection of tapas, a mixed-beet salad with smoked goat cheese and a subtle horseradish sauce, and a sweet treat of Basque cake with frozen custard and fruit compote. In between, there was a crusty bread with tomato; Tamworth ham pintxos; a tortilla with egg, potato, onion, and aoli; croquettes made with smooth Spanish manchego cheese; grilled octopus; and a paella made with bomba rice, chicken, shrimp, clams, mussels, and chorizo. Sated, we head off for a novel nightcap. For some at The Brink Lounge, Wednesday night is beer night. For others, it’s date night or a break from the routine. But for more than 30 souls — a mix of regulars, curious onlookers, and the experimental few — it’s time for some high-energy dancing. The lounge is part of a trio of bars and entertainment venues in what was once a secondhand store. It’s also part of a neighborhood teeming with new residential, commercial, and entertainment developments at downtown Madison’s eastern gateway. Every Wednesday at 9 p.m., The Brink features Jumptown Swing Dance, a group born as a UW–Madison student organization. Eventually, Jumptown became a community-based group that holds classes and events to teach people to swing dance — especially the Lindy Hop. With a DJ playing the swing rhythms of Cab Calloway, Benny Goodman, Artie Shaw, and a variety of more contemporary swing artists, people discard their inhibitions and dance. On day two, the dawn finds us confident we can outsmart cholesterol science. That puts us at The Curve, a Madison diner just six blocks south of campus, next to Spike-O-Matic Tattoo, at the bend in Park Street. Eggs, wheat toast, and corned beef hash arrive on an oval platter, delivered by Kathy Tracy, a 26-year veteran waitress behind the U-shaped Formica counter where politicians, students, hospital workers, university administrators, and neighbors gather. Antonie is a jack-of-all-trades, flipping eggs and bacon on the flat-top. He whips up his special-recipe corned beef hash every other Saturday (and every Badger football Saturday). To work off the $6 breakfast, it’s off to the Wisconsin Veterans Museum on the Capitol Square. The free museum, operated by the state’s Department of Veterans Affairs, is compact but jammed with fascinating artifacts and exhibits. World War I Beyond the Trenches marks the war’s centennial. It combines displays and artifacts such as trench periscopes, a German MG08 machine gun, and uniforms, and features compelling interviews with Wisconsin soldiers. It also features exhibits on 20th-century military conflicts, including a World War II Jeep, artifacts from the battleship USS Wisconsin, and a Vietnam-era Huey helicopter. Peckish again, it’s time to seek and destroy some pizza. 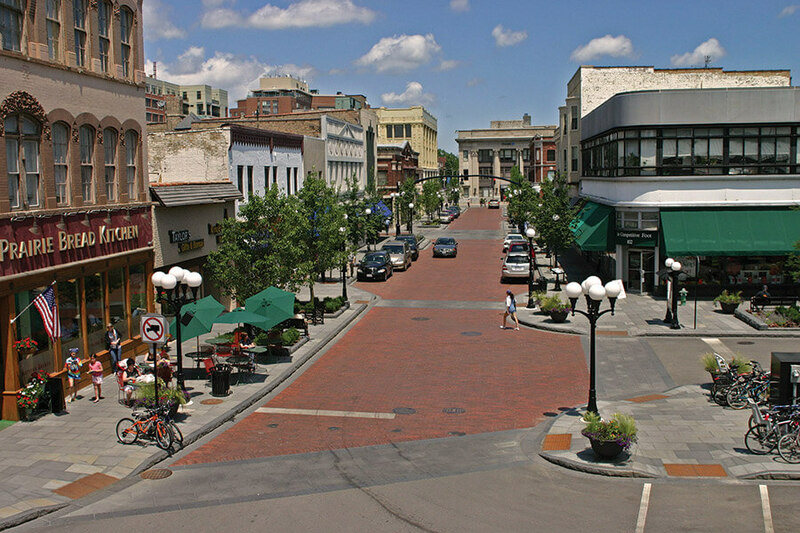 This time, we turn to vibrant Monroe Street, with its wealth of shops and restaurants. 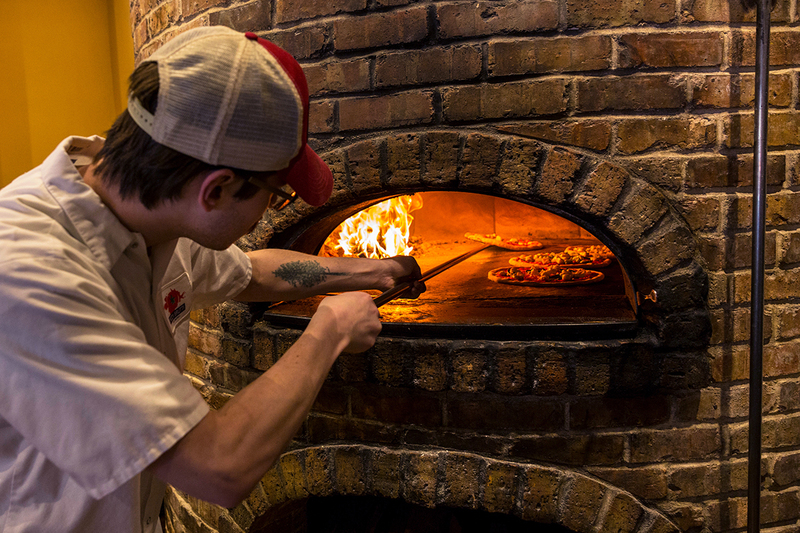 Pizza Brutta is tucked behind a stone-arched façade and offers wood-fired Neapolitan pizza. Of course, there are other toppings, too. We chose the $12 salame funghi, featuring oregano, salami, cremini mushrooms, and saracene olives and delivered steaming after just 90 seconds in the 900-degree brick oven. Lee’s co-owner, wife Darcy Lee ’96, says Pizza Brutta uses locally sourced organic products. “In Naples, they depend on a local food system. It was a way for us to marry business with helping the environment.” By now, exercise seems appropriate, so it’s off to a nearby BCycle rack to use the city’s convenient bikeshare program for a junket west of campus. In 2017, renters rode 300,000 miles, burning off 11.9 million calories. 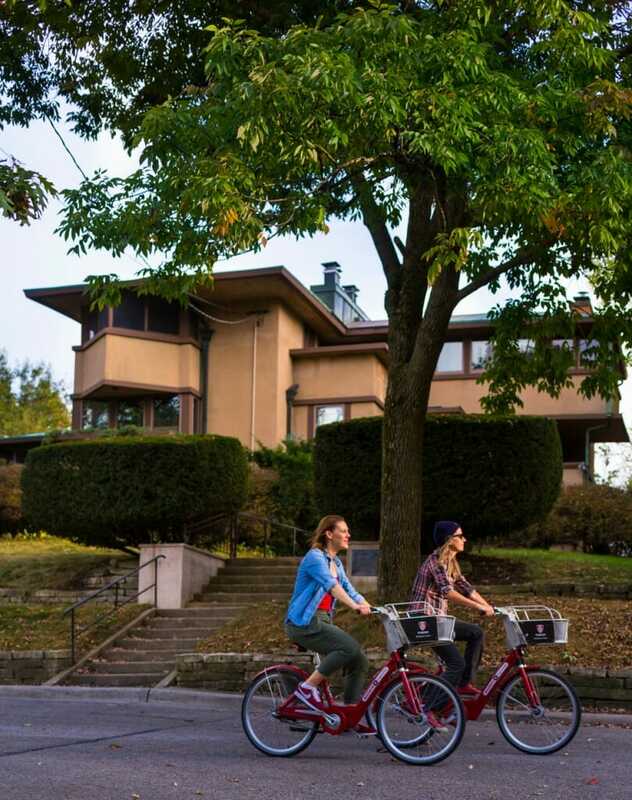 With several dozen stations around Madison, you can rent one of the red bikes, outfitted with a basket and a lock. A $6 daily pass, which covers unlimited 30-minute rides, is required. Additional time goes for $3 for 30 minutes. Wright built the house for Gilmore, a UW law professor, in 1908 on the highest point of University Heights. Its copper-roofed wings extend from a center pavilion with a triangular balcony — which gives the home the appearance of an airplane. It remains a private residence, unavailable for tours. Ten minutes away is the First Unitarian Meeting House. A National Historic Landmark built in 1951, it’s a magnet for Wright devotees. Its design, with a soaring copper roof evoking a church steeple and a triangular auditorium, has influenced religious architecture since it was completed. Our guide points out Wright’s signature plywood furniture and Hiroshige’s early-nineteenth-century prints — once part of Wright’s collection — in the loggia. Wright said the simplicity of Japanese art, which he sold early in his career to supplement his income, greatly influenced his work. After the tour, there’s still time for nature. Just more than a mile away is Frautschi Point, part of the Lakeshore Nature Preserve, a lesser-known area west of Picnic Point. There’s a parking lot off Lake Mendota Drive, and a short walk yields an elevated view of Lake Mendota, beneath a canopy of burr oaks, white oaks, and shagbark hickories. A wooden staircase leads to the lake’s edge at Raymer’s Cove. The spot offers a view of the Middleton shore and of sandstone cliffs where Raymer’s Ravine meets the lake. With the clock ticking on our rented bikes and our 36-hour adventure, we pedal to a new vantage point. Eno Vino Downtown Wine Bar and Bistro combines urban attitude with panoramic altitude. It offers a 10th-floor penthouse view of the state Capitol, just a block away, and Lakes Mendota and Monona. The eclectic menu features a globally fused array of cheese boards and dishes with small-plate influences ranging from Greek to Korean to Italian. Its floor-to-ceiling windows and a ninth-floor outdoor terrace provide a vivid atmosphere. Eno Vino commands a big-city vibe and a glass wine case holding hundreds of bottles. After glasses of wine with small plates of goat cheese tortellini ($12) and lamb meatballs ($13), there was just enough time to crown our 36-hour expedition. Just a 25-minute walk away, we settled into sunburst chairs on the Memorial Union Terrace with bowls of Berry Alvarez ice cream to catch a perfect sunset. New adventures are great, but some habits die hard. Scott Freres and his Chicago firm (with plenty of Badgers on board) are influencing popular urban landscapes across the country. In a loft space overlooking popular bars, restaurants, and a doughnut shop where people line up for blocks in Chicago’s River North neighborhood, Scott Freres ’86 glances at a collection of urban development plans that have created similar buzz. There’s a sketch of the Irish Green lawn at the University of Notre Dame, a new beloved gathering space. 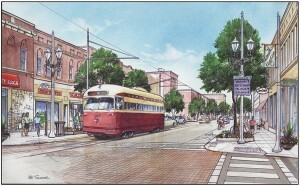 There are renderings of a reinvigorated Main Street in downtown Kenosha, Wisconsin. And there are plans from ten former industrial towns in Oregon that are starting to bustle again after years of struggle. The designs are tacked to his bulletin board to remind Freres of the projects he has been a part of since he co-founded The Lakota Group, an urban planning and landscape architecture firm, twenty-one years ago. One of the thumbtacks has special significance: it’s a Motion W, the iconic athletics logo from his alma mater, a place Freres credits with setting him on his path. 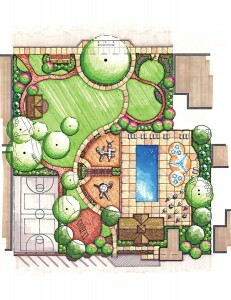 Today he’s at the forefront of change as urban planning and landscape architecture have evolved into a blended industry. 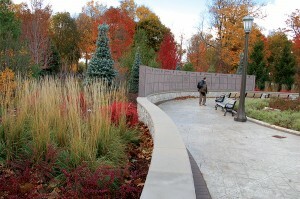 “[The university] gave me a fundamental platform that I built my career around,” says Freres, who shows his appreciation by returning to campus for guest lectures and sitting on the content and design committee for Alumni Park, a green space that the Wisconsin Alumni Association is developing next to the Memorial Union. Freres has made it a priority to hire UW graduates at his firm, where today five of the sixteen full-time employees are alumni, and others have passed through over the years. “There are other Wisconsin alumni looking out for fellow Badgers. … It’s good to know these kinds of employers exist,” says Sarah White ’04, a senior planner and landscape architect at the firm. Freres, who grew up in suburban Chicago, knew by the time he turned eighteen that he wanted to bring people together with architectural designs that respect the environment. While touring the UW, the view looking down Bascom Hill to State Street convinced him that Madison — where nature seemed harmoniously paired with development — would be the ideal place to study. But when he enrolled in the 1980s, landscape architecture was not the trendy, almost assumed aspect of urban planning that it is today. Freres’s courses focused on wholly environmental topics such as natural resources, wildlife, and resource protection, with less attention paid to the urban environment. People commonly confused his career choice with wanting to be a gardener. In those days, Freres explains, landscape architects were an afterthought in major development projects, brought in to help think through site-specific issues, or to choose plants. But changes in the way society now thinks — with a new awareness of the environment, a focus on quality-of-life issues, and an interest in learning from examples around the world — have allowed landscape architects to become key members of the design and planning process. To broaden his experience while still a student, Freres took a full-time job with campus facilities planning, where he helped with a renovation of the Memorial Union Terrace. Upon graduating, he spent several years at major Chicago architectural firms — often as one of the only landscape architects on staff — working on making architectural projects more sustainable. As green concepts became more en vogue, Freres and colleague John LaMotte ’80 were inspired to start their own company, The Lakota Group. Choosing a Native American term that means “allies” as a nod to its respect for the environment and community building, the firm offers public and private urban planning and design, landscape architecture, and historic preservation. A sampling of the firm’s projects is featured here. A trailblazer for merging urban design and landscape architecture, Freres says he’s heartened to see dozens of firms across the region enter the arena. He welcomes the competition, and notes that the growth is also inspiring universities to retool their courses to better reflect the shift. The problem: After paper and timber mills and other industries left the area, communities in Oregon struggled to revive their main streets. 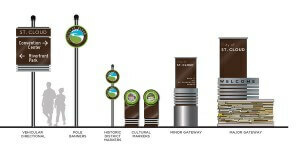 The strategy: In 2008, Oregon Main Street brought in The Lakota Group to develop revitalization plans for ten cities. The group spent weeks traveling from Oregon’s western coast to its northeastern edge, working with residents, business owners, and civic leaders to help bring life back to their communities. The problem: The city of Kenosha had successfully brought the former industrial town back to life by redeveloping its waterfront. But as visitors turned their attention to the city’s shore, the adjacent downtown was starting to die. 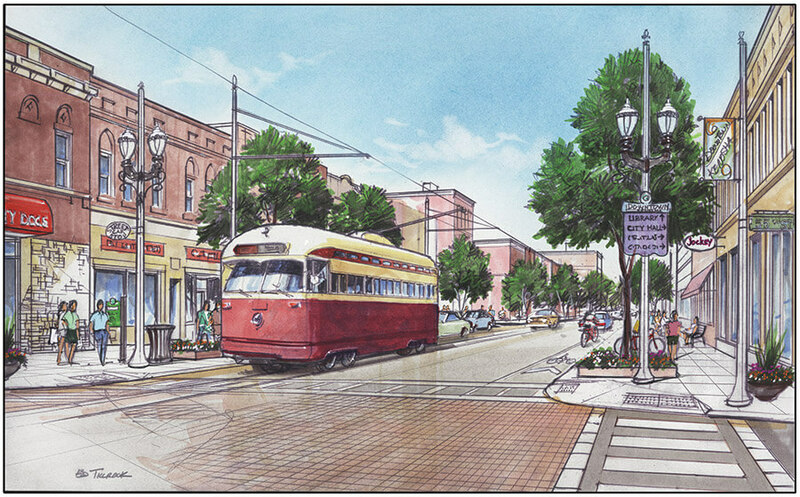 The strategy: In 2011, The Lakota Group spent months interviewing residents, conducting public meetings, and sharing ideas in the local newspapers before creating a strategic revitalization and implementation master plan for downtown Kenosha. The problem: A South Bend, Indiana, neighborhood adjacent to the University of Notre Dame was blighted and unwelcoming, but the campus and communities had existed with little collaboration for decades. The strategy: The university, city, and three local businesses hired Freres and his team to facilitate difficult conversations among the institution, skeptical neighborhood residents, and others to devise a major redevelopment plan for the area. The problem: For years, leaders of the city of St. Cloud struggled with playing second fiddle to the Twin Cities and searched for a way to gain recognition for the community they love. The strategy: The Lakota Group, working with the St. 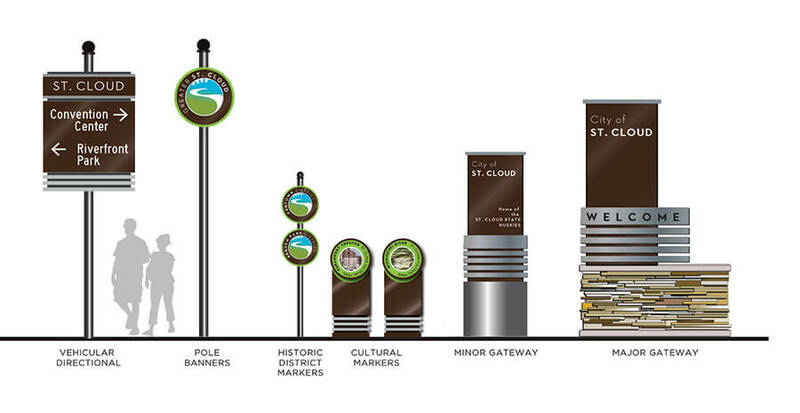 Cloud Arts Commission, developed a “placemaking plan” that could help the community articulate its identity and promote itself to the public (including a new signage system, represented above). The results: Freres and his team created “St. Cloud — Greater” as a branding slogan to advertise the greater St. Cloud area. They then produced a video — a first for The Lakota Group — to drive the brand home, and Freres has been inspired by the new approach. “I like the idea of trying new things and experimenting with new communication tools,” he says. The problem: In Oak Park, an artsy community west of Chicago known for its Frank Lloyd Wright architecture, a prominent section of the historic downtown along Marion Street had fallen into disrepair, with vacant storefronts that discouraged pedestrians. The strategy: Village officials hired The Lakota Group to propose a design that would recapture the city’s historical roots, yet create a look that would last for generations to come. 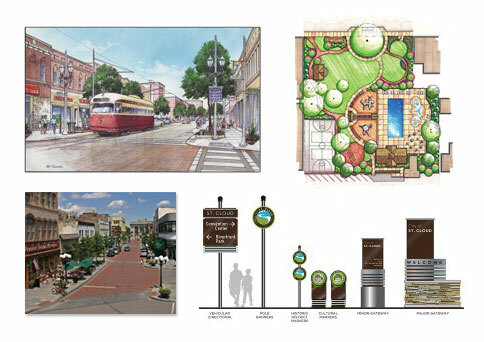 Bold recommendations included returning vehicle access that had been cordoned off for years, restoring brick streets and blue stone sidewalks, and using state-of-the-art water drainage systems that shoot rainwater back into hanging planters.